Selecting the best nursing school in Illinois can be difficult. To make the process easier first look for a school that supports students towards licensure and beyond. A great way to measure this is through NCLEX-RN "pass rates." We have ranked the top 30 nursing schools in Illinois by analyzing current and historical NCLEX-RN "pass rates", meaning the percentage of graduates who pass the exam, out of the 78 RN programs in the state. Programs reviewed include schools that offer an Associate in Nursing (ADN/ASN), BSN, or Direct-Entry MSN Degree. In the state of Illinois, they wholehearted believe in nursing care that provides a patient focused philosophy, and to provide that level of care they support the industries move toward furthering education. The state has a rate of 39% of the nurses holding a Bachelor's of Science in Nursing (BSN) which has given them the benefit of earning higher salaries, and improved their position to accept advancements. Candidates with a likeminded philosophy of patient focused health care and striving to better the industry of nursing are called upon to help fulfill the future need. With a history of strong and proactive nursing schools dating back as far as 1889, the state of Illinois is prepared to meet today's growing health care demands. With many students opting to graduate high school and begin their post-secondary path toward an Associate's Degree in Nursing diploma at a college convenient to them, the ADN program offers evidence-based, hands-on training toward licensure exams for those students who need or want a quick path to the first steps in their nursing career. There are more than 40 ADN programs in the state, and program entry is offered one or more times per year for a two-year diploma. With the sheer number of programs that are available and reasonably priced for in-state students, how do you decide which one is right for you? Data based decision-making on some important student outcomes can help you make the right choice for your learning style and lifestyle. Accreditation is a voluntary, non-profit measure that protects students as consumers. With accreditation in place, you're guaranteed that the degree you're buying with your money, time, and dedication is of a comparable standard throughout the state. 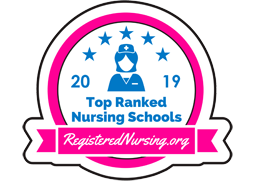 Colleges are accredited through the North Central Association of Colleges and Schools as designated by the federal government, whereas ADN programs are accredited by the Accreditation Commission for Education in Nursing (ACEN) or the American Association of Colleges of Nursing (CCNE). The healthcare industry is subject to regulations, just like every other industry in our great country. For nurses, this means ensuring that the program they pick for ADN will fully prepare them to take the NCLEX. 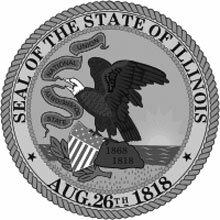 To this end, the Illinois Board of Nursing maintains a list of post-secondary programs that have program goals that are in line with industry standard and knowledge. With campuses in both Danville and Hoopeston, Illinois, Danville Area Community College is a fully accredited institution with a nursing program that is licensed and in good standing with the Illinois Board of Nursing. At Shawnee Community College, in-state students pay about $110 per credit hour, while out of state students pay considerably more. There are additional administrative and campus fees that also apply, such as technology and lab fees, and transcript fees. Due to fluctuations in cost of living prices, the college doesn't publish data on the costs of residence and food for students. Almost 50% of nurses in the United States were educated first through ADN programs. The numbers are even higher for nurses educated in the '90s. The fact remains that community colleges are important in boosting nurses from minority backgrounds throughout the country. 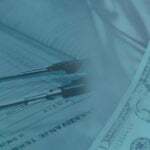 Programs have a considerably lower cost than their BSN counterparts do. An increasingly popular pathway to registered nursing is the LPN to RN program. This allows Licensed Practical Nurses (LPNs) to take a specialized curriculum designed to expand upon their prior knowledge and experience in order to become registered nurses. Enrolled students enjoy shorter program times than traditional RN pathways and are able to choose which type of RN degree they wish to obtain. The first option nurses have for the LPN to RN pathway is an LPN to Associate's Degree in Nursing (ADN). These LPN to ADN programs are the fastest route to an RN degree, often taking just a few months to complete. Lincoln Land Community College, for example, offers an LPN to ADN program to transition students into a rewarding RN career. LPN to BSN programs also exist for those who are interested in the popular baccalaureate route, though they tend to require a few more semesters than the ADN pathway. Chicago's Saint Xavier University offers an LPN to BSN, combining classroom study and clinical practice to bridge the student's learning. When students consider their options for post-secondary school, often they think of a BSN or Bachelor of Science in Nursing degree when they consider nursing. Universities are found in larger centers and offer frameworks that are more theoretical for students who are interested in more than the practice of nursing. When their degree has been earned, however, BSN graduates must sit the same NCLEX licensure exam as their ADN counterparts - it's only this license that determines eligibility for nursing. BSN grads and faculty strive to provide effective and evidence-based ethics in practice to their patients. More than a degree, nursing is a worldview and full-time practice. Nurses at all levels practice integrity and evidence-based care as part of a team. Graduates look forward to sharing new ideas with doctors, colleagues and patients. Since 1971, the University of Chicago's nursing program has continued to grow and expand. Faculty in the department provide experiences that meet the needs of student nurses to empower them and promote competence in all areas of their practice and professional development. Bachelors in nursing programs differ from their ADN counterparts in a couple key ways, and one of them is length. Generally, a BSN program requires that students attend and pass about 120 credit hours to be eligible for graduation and thus licensure. Generally divided into approximately 15 credit hours per semester, students take an average of four years to complete their degree. 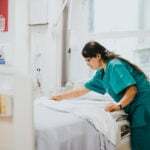 With nursing industry demands forecast to increase until 2020, students can safely gamble that the cost of a university degree in nursing as well as their diligence, aptitude and licensure will pay off by landing them a job shortly after graduation. However, that doesn't mean that there's unlimited money to spend. Part of transitioning to adulthood and professionalism is carefully evaluating the costs of a major investment like university. Luckily, all universities make this information publicly available. For an example, Robert Morris University's BSN program in Moon, Illinois has a credit hour cost of $930 and room and board totaling another $10,000 per year. Students who choose a BSN have ample time and the right technical environment to use reasoning and clinical judgement to improve patient outcomes. BSN graduates are well regarded in their demonstration of leadership through nursing activities. BSN grads are ideally positioned to grow in their career track or to undergo additional schooling toward an MSN degree. Beyond the BSN, graduate degree programs can help nurses become leaders in their workplace or in a new role entirely. It's only at the Master of Science in Nursing (MSN) level that nurses can become Nurse Midwives, advanced clinical nurses, or continue even further to a doctorate of nursing. Nurses who choose to begin their graduate course of study can choose from online, on-campus and either full- or part-time options. With a focus on leadership and specialized practice, MSN programs in Illinois are offered on- and off-campus. The average program length is about 2 years of full-time study, and program admissions are very competitive. The high amount of clinical hours as well as the low student-faculty ratio ensures that clinical experiences are diverse and valuable. MSN programs throughout the state can vary widely in their cost. One such example is that of Millikin University where tuition for MSN students is about $800 per credit hours. The program requires 30 - 40 credit hours completed to earn your graduate degree, with an extensive clinical rotation to complement learning. Illinois nurses, prospective or existing, are looking at accelerated and bridging programs to obtain their degrees faster. You can fast track your career by taking one of these programs for as little as 10 to 18 months. The courses are intensive and require full-time commitments to fulfill program and clinical requirements. When looking into these programs, at one on the 11 or so offered over the state, you should take note of the requirements for entry. There are some programs that will require candidates to take specific course before the program start date. Tuition costs are subsequent to change, as any additional cost, such as prerequisite course, housing, etc., can all increase the overall costs. Located in central Illinois, MacMurray is one of the rare schools offering a BSN education within a liberal arts college. This program prepares students with the knowledge, values, and competencies necessary to provide excellence in safe nursing care within diverse groups and settings. Check out the official MacMurray College nursing program. Trinity Christian College’s BSN program prepares students both academically and clinically to care for patients’ physical, spiritual, and mental needs. Students are able to gain hands-on learning in the simulation lab, allowing them to hone their skills in a safe and controlled environment. Follow the link to learn more about the Trinity Christian College nursing program. Located in beautiful south Illinois in the city of Harrisburg, Southeastern Illinois College is proud to offer excellent nursing programming to hundreds of soon-to-be RNs. With flexible offerings and emphasis on clinical experience, nursing graduates are a welcome addition to area healthcare teams. Get all the program details by visiting the Southeastern Illinois College website. Located in the metropolis of Chicago, Illinois, Rush University is home to a prestigious college of nursing. With a direct-entry MSN option for non-nurses, students work with nationally and internationally renowned faculty to prepare them for their profession. Get all the program details by visiting the Rush University website. Located in Peoria, Illinois, Bradley University faculty believe that nurses need to care for the whole patient by using ethical and scientific patient-centered care models. The nursing profession welcomes Bradley graduates to their ranks. Visit the Bradley University nursing website to learn more. St. Anthony College of Nursing in Rockford, Illinois is known for its standard of academic excellence paired with practical experience. With state of the art skills labs and low student/teacher ratio, students excel in the demanding yet nurturing program. Get all the program details by visiting the St. Anthony College of Nursing website. John A. Logan College's nursing program is located in the community of Carterville, Illinois. Designed to assist nurses in upgrading their skills and knowledge, the college's graduates are a welcome addition as therapeutic and caring members of the healthcare team. Get all the program details by visiting the John A. Logan College website. Mennonite Nursing at Illinois State University in Normal, Illinois has the benefit of small city environment with big-city opportunities from nearby Bloomington. Nursing graduates are able to integrate classroom knowledge and skills to find solutions in patient care. Learn more by visiting the Illinois State University nursing website. Located in Romeoville, Illinois, Lewis University creates leaders in the high-tech patient care environment. With attention to the pacing of the healthcare field today, Lewis University nursing graduates are well-informed on the advancements of health care. Learn more by visiting the Lewis University nursing website. Des Plaines, Illinois is the proud home of Oakton Community College. With renowned nursing faculty and state of the art facilities for clinical practice, Oakton students graduate prepared to use evidence and professional leadership skill to improve the health of individuals in their communities. Learn more by visiting the Oakton Community College nursing website. The Graham Hospital School of Nursing in Canton has been admitting students into its 3-year diploma program since 1909. With three state-of-the-art simulation labs and a variety of social activities throughout the school year, the school supports their students in numerous ways. Get all the program details by visiting the Graham Hospital School of Nursing website. 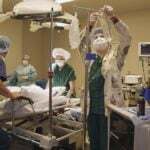 Heartland Community College serves students in the Normal vicinity through its excellent ADN and LPN to RN program pathways. 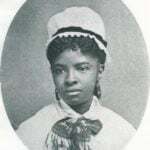 Enrolled students learn a number of contemporary nursing principles and techniques to help them find success amongst healthcare teams. Check out the official Heartland Community College nursing program. Joliet Junior College is home to one of the state's most well regarded nursing programs. With an eye on the burgeoning demand for nurses, Joliet graduates are informed collaborators and managers who influence health outcomes. Check out the official Joliet Junior College nursing program. Springfield’s Lincoln Land Community College offers an ADN program with a combination of classroom, lab, and clinical components. The program is based on science, knowledge, and evidence-based practice, and prepares students to successfully complete the NCLEX-RN exam and enter the field of nursing. Follow the link to learn more about the Lincoln Land Community College nursing program. McHenry County College, located in Crystal Lake, Illinois has a number of program pathways to best support new or returning nursing students. With full- or part-time course loads, MCC's flexibility is designed to meet nursing needs now and in the future. Follow the link to learn more about the McHenry County College nursing program. Nestled in the heart of Joliet, the University of Saint Francis' Cecily and John Leach College of Nursing fosters nursing students who graduate ready to change the face of patient care across the state and beyond. Follow the link to learn more about the University of Saint Francis nursing program. Chicago's Loyola University is home to the Marcella Niehoff School of Nursing. Highly esteemed degree options include BSN and MSN tracks. Loyola nurses train on leading-edge clinical rotations and simulations. Visit the Loyola University Chicago nursing website to learn more. BSN students at Illinois Wesleyan University in Bloomington have the opportunity to conduct collaborative research, secure internships within their chosen healthcare field, and even study abroad. Moreover, they are able to begin their clinical experiences in their sophomore year, much earlier than other programs. Check out the official Illinois Wesleyan University nursing program. South Suburban College's South Holland campus is home to an associate's degree nursing program focused on patient-centered care. Throughout the program, students take a number of quality nursing courses, including Adult Health Nursing, Behavioral Health Nursing, and more. Learn more by visiting the South Suburban College nursing website. Rock Island's Trinity College of Nursing & Health Sciences is well regarded by in-state healthcare agencies, as well as nationally. Trinity strives to develop nurses who continually self-evaluate in order to improve nursing practices - both personally and throughout their team. Get all the program details by visiting the Trinity College of Nursing & Health Sciences website. The CCNE-accredited BSN program at Macomb’s Western Illinois University focuses on preparing nurses for a wide variety of healthcare settings, particularly rural settings. Their nursing resource center houses computer simulation programs and simulators for students to practice new skills before working on real patients. Get all the program details by visiting the Western Illinois University website. Aurora University’s BSN program boasts a curriculum of core science, math, and general education courses during the first two years, with professional nursing and clinical courses during the third and fourth years. Small class sizes mean more personal attention from dedicated faculty. Visit the Aurora University nursing website to learn more. Illinois Valley Community College is located in Oglesby, Illinois - part of the Ottawa-Streator Micropolitan Statistical Area. Graduates from IVCC's nursing program are ready to engage in professional development alone and with their healthcare team. Get all the program details by visiting the Illinois Valley Community College website. Harper College in Palatine, Illinois strives to be considered one of the state's foremost nursing programs. With almost 50 years' experience in nursing education, Harper College works to fill today's growing demand for empathy and evidence based care. Visit the Harper College nursing website to learn more. Kaskaskia College in Centralia offers an ACEN-accredited Associate Degree in Nursing. They have prepared over 1800 graduates for a career in registered nursing, and their program gives students the tools they will need to successfully pass the NCLEX-RN exam. Learn more by visiting the Kaskaskia College nursing website. Kishwaukee College is located in the growing rural community of Malta, Illinois. With caring faculty, Kishwaukee nursing students graduate and continue with some of the highest NCLEX-RN pass rates in the state. Check out the official Kishwaukee College nursing program. Canton's Spoon River College offers students a 61.5 credit-hour associate degree nursing program designed to give students the skills to become compassionate RNs. The curriculum includes courses such as Pharmacology, Nursing Through the Life Cycle, and much more. Follow the link to learn more about the Spoon River College nursing program. Located in beautiful Springfield, St. John's College of Nursing has rigorous entry requirements. St. John's nursing graduates are renowned for integrating research and evidence to advance nursing practice. Learn more by visiting the St. John's College of Nursing nursing website. Ambria College of Nursing supports students through multiple nursing program pathways. Their associate degree pathway has options for new nurses and licensed LPNs, and accepts students 3 times per year in the spring, summer, and fall semesters. Learn more by visiting the Ambria College of Nursing nursing website. Located in River Forest, Dominican University’s BSN program allows students to learn and explore in its state-of-the-art labs, collaborate with educated faculty, and gain the skills needed to become licensed as an RN. The curriculum emphasizes student attention, faculty interaction, and personal accountability. Check out the official Dominican University nursing program.